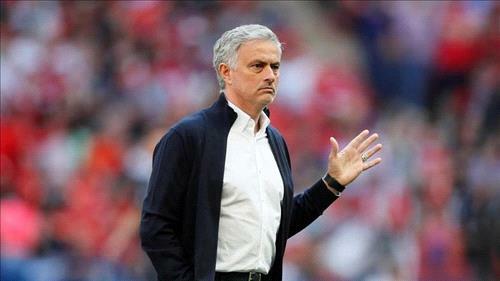 AMMONNEWS - There are “many different reasons” behind Manchester United’s poor start to the season, Jose Mourinho said. He’s just not willing to discuss them. The United manager held another terse news conference Friday, refusing to answer one question and giving brief replies to three others. The whole thing lasted 3 minutes, 32 seconds - shorter than one answer given by Manchester City manager Pep Guardiola to reporters later in the day. United hasn’t won any of its last four matches in all competitions and is in 10th place in the Premier League heading into Saturday’s home match against Newcastle. It is the club’s worst seven-game start to a league campaign in 29 years. He didn’t respond to a question about whether he was doing all he could to turn the situation around. And he simply said “no” when asked to provide reasons for United’s disappointing results. Mourinho isn’t the only person keeping tight-lipped at Old Trafford this week. Paul Pogba, who was recently stripped of captaincy duties by Mourinho for speaking out about United’s style of play, said after the 0-0 draw with Valencia in the Champions League on Tuesday: “I’ve been told I’m not allowed” to talk. That comes after Pogba said, “You want me dead?” when asked after United’s 3-1 loss to West Ham on Saturday about his views on the game. United captain Antonio Valencia added to the turbulence by liking an Instagram post that called for Mourinho to be fired. The right back later apologized, saying he responded to the post - published after United’s draw with Valencia - without reading the text.